Warm, cozy, soft, flexible, and comfortable. Well made, foam padded, and slip resistant. The elastic on the slippers keep the feet secure. Spacious at the heel and toes. Can wear them with the socks. Worth the price, and available in many sizes, designs, and colors. The elastic may not be that durable. Marking seems not indicated for left and right foot. Large size is too large for women size. The feet look like clown feet after wearing them. The size chart for the slippers does not match with the recommended sizes. The bottom of the slipper wears out with constant wear. This is the summary of consumer reviews for World's Softest Cozy Slippers. 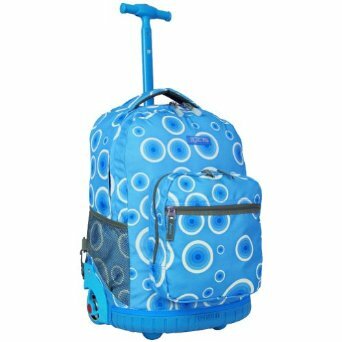 The BoolPool rating for this product is Very Good, with 4.40 stars, and the price range is $6.97-$17.94. Relax in luxurious softness and walk on clouds with the World's Softest Women's Cozy Slipper. It features the polyester acrylic blend that gives the warm, cozy, and soft feeling, foam-padded sole provides comfort, slip-resistant bottom ensures safety, the elastic on the slippers keep the feet secure, and non-binding topline stretches and secure the top of the foot. They are available in many sizes and colors. 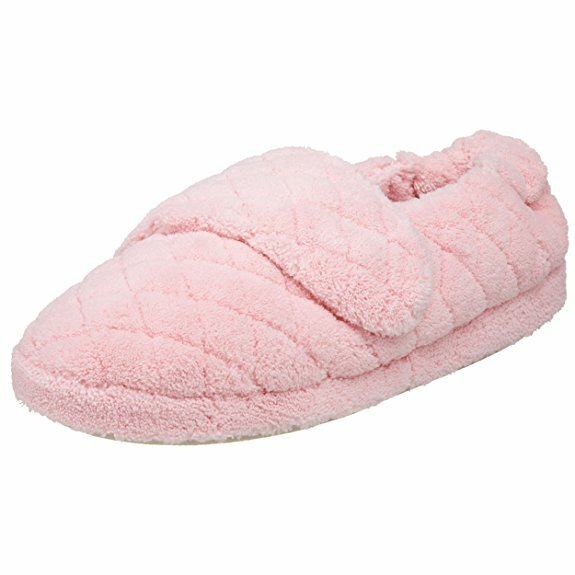 Users love World's Softest Women's Cozy Slippers as they are warm, cozy, soft, secure, and comfortable for everyday wear. They are well made, has excellent padding in the soles, and are safe with non-slip bottoms. The slip-on has enough room at the heel and toes. They are washing machine safe. However, the bottom of the World's Softest Women's Cozy Slippers may wear out with constant wear. A few feel that the elastic may not be that durable, markings not indicated for left and right foot, the large size is too large for women size, the size chart for the slippers does not match with the recommended size, and the feet look like clown feet after wearing them. 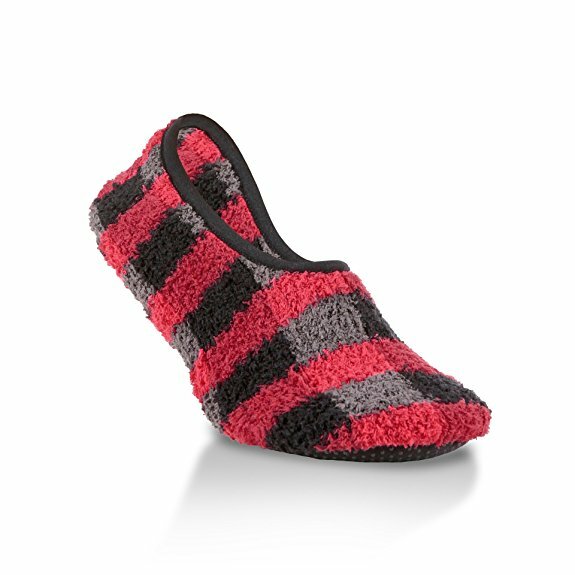 Overall, World's Softest Women's Cozy Slippers is the comfortable slip-on for the everyday wear. Available in many sizes, designs, and colors. Fits great and does not slip. So comfy and she doesn't slip in them!. Fit great and very comfy. comfy- weird wide toes a bit clownish. Purchased two pairs for my mother who was able to walk around the hospital with a slip resistant sole. 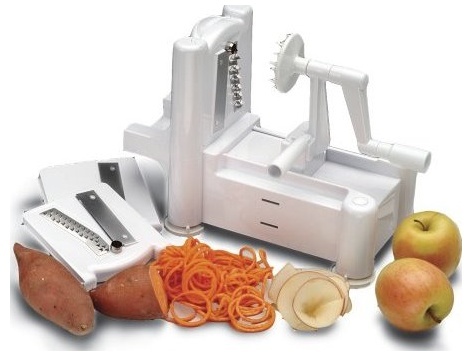 Price is great. The elastic part tore right away. Markings not indicated for left and right foot. At the right price, too. The elastic part ripped right away. It's on the left side of the left slipper and right side of the right slipper. I saw people wishing there were markings for left and right feet ... but mine have an indicator. Large size is too large for women size. Enough room at the heel and toes. I ordered my slippers in the large size even though I wear size 8 shoes. I ordered a Large and I wear a size 10 shoe. I ordered in a size large 9.5 to 11, and I'm a 10.5 in shoes. Description of medium didn't indicate they were for shoe sizes 7.5 to 9. This's too large for women sizes. They're very warm, and the large is definitely a large, but they stay on my feet well. I take a size 9 and the large slipper was way too big for me. They send a small and I ordered a large. Disappointed that they're too large. Returned these because they run really large. I've enough room at the heel and toes. They look like clown feet. The slippers are comfortable and secure on the feet. Wear them every day. They looked like clown feet. The stretchy opening keeps them on my feet and gives easily, even if my feet swell a bit. They look really strange off your feet, like wide boats. I've narrow feet and needed something I could keep on my feet without flopping around. It's like looking down and seeing bear feet at the end of your legs so if style is important I'd look for a more fitted slipper. My feet run cold, so I wear slippers literally every day. I bought the black polka dots, and they just looked like giant clown shoes on my feet. They look a bit ridiculous, though - like my feet are shaped like the slippers. I wear a size 10.5 and the size large fits well. The slippers are comfortably loose but yet secure on my feet. Cozy, soft, flexible, and comfortable. The stretch on top does not allow to flop around. Slipper washed in the machine comes out nice and soft. They are safe with the non-slip bottoms. So soft and comfy but still have a non-slip bottom. Machine washed and come out in nice, soft condition. These stay soft and cozy. Soft, comfy and just enough stretch on top that they don't flop around. These slippers are so soft and warm! How soft and comfortable these shoes are on my feet. They're SO soft, they're amazing!. So cozy, soft and comfy and the best part is that they're safe, too with the non-slip bottoms, thanks!. No real arch support, just light weight, warm enough and soft. Well made, and excellent padding in the soles. They are big around the edges. They are fleecy inside and fluffy outsides. They fit as expected and keep her feet comfortable. Very flexible and keep my feet comfortably warm!. Well made, but I expected something comfortable. Very comfortable and nice padding in the soles! They're comfortably loose on my foot. These are my Clown shoes.They're big around the edges, but incredibly soft and comfortable.I ordered more due to the comfort factor..lol. Giving these slippers four stars for comfort. These fit as expected and the fleecy inside and fluffy outsides were very comfortable. they're so soft and comfortable but I see no contours to my feet at all, I've "Bobo" feet! The size chart for these slippers does not fit with the recommended sizes. Can wear with the socks. I'm a size 8.5 and the slipper size 7.5-9 fits perfectly. Ordering a size up fit me perfectly. I wear a size 9 and I ordered the medium which was sized at 7.5-9. They fit as expected and stay on my feet because of design, but slightly big since i'm a 7.5-8 size and medium slippers go up to size 9. I ordered a size up, thinking these would be close fitting (I wear a 9 and was afraid the 7.5-9 size would be too tight - especially after reading reviews). The size chart for these slippers didn't fit with the given sizes at all. These were supposed to fits Women's size 9.5-11. I was unsure about ordering these online - they fit fine, I can wear socks with them, but they're really wide, but the comfortable elastic keeps them on my feet. I wear a size 5.5 and ordered a small in these. The bottom wears out 6-9 months with constant wear but worth the money. Bought these 3 months ago and I wear them constantly. even wearing exclusively on carpet, they wear out in the toes and heels within 2 months. The bottom wears out 6-9 months with constant wear but they're so worth the money and very comfortable. I wear slippers constantly when at home. I wear a 7, bought the medium then purchased the large. I wear a women's 9.5 Narrow and ordered accordingly. I'd buy again for her, and maybe even for me! My mom wears an 8.5M and I wear a 9M. I like them so much I bought a second pair for when these wear out!. My husband wears a men's size 11 D and they fit.